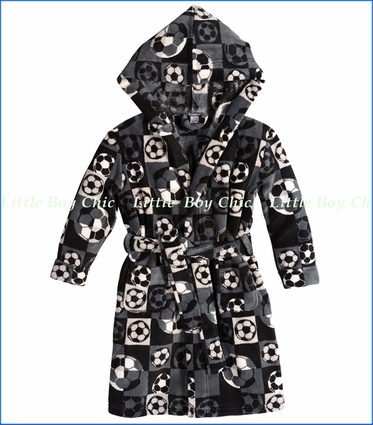 This fluffy fleecy bathrobe is perfect for the little soccer fans. Printed soccer balls all over. Hand pockets and belt. Fleece inside and out. Cozy soft and toasty warm.